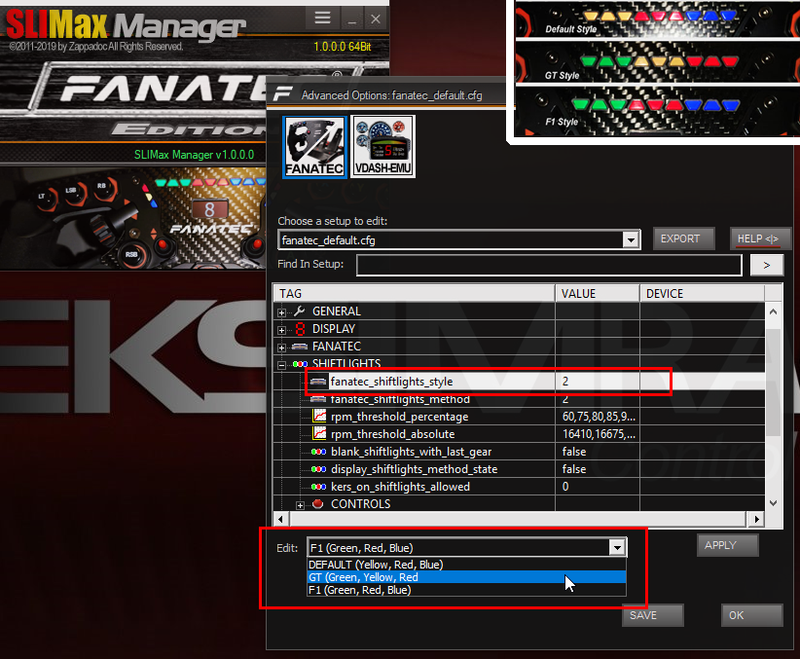 Here is the basic steps to get started with SLIMax Manager Fanatec Edition and Pro. 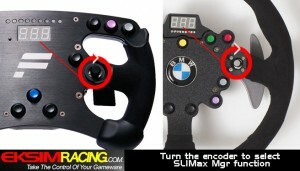 Using SLIMax Manager with your favorite Fanatec wheel is 100% FREE! Don’t wait download and install today the stable version of SLIMax Manager Fanatec Edition to enjoy your sim-(motion)-rig with more than 60 simulations/games. 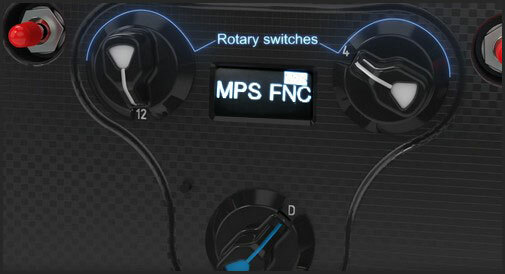 SLIMax Manager contains many features including the support of more than 60 games, the full management of the display and the LED of your Fanatec steering wheel and wheel base, a full management of your buttons/encoders, a wizard to create easily keystrokes sequence (MACRO) assignable to button/encoder, a full management of the motors of your CSP pedals set, rim and wheel base and many more. 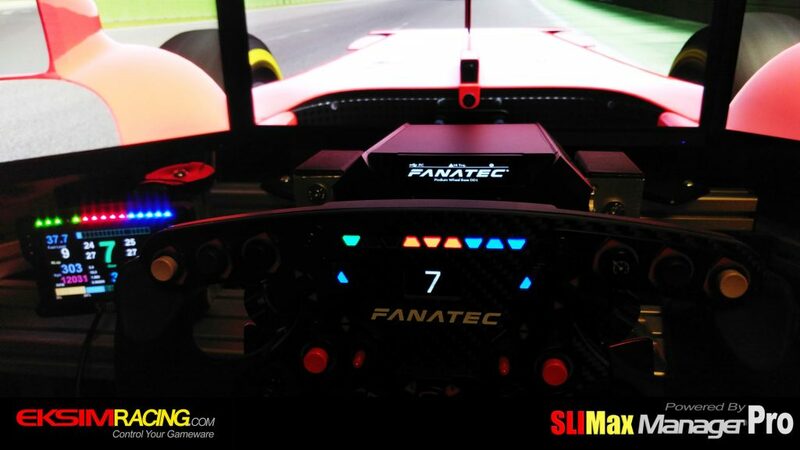 All Fanatec hardware supported by SLIMax Manager are 100% free since 2011 (no need a license for personal use only*), so if you’re happy with our software and are willing to contribute to EKSIMRacing projects consider making a donation (Link To Donation Page). *PRO Subscription is required if you ‘re using our software in business context, read the terms and conditions of use and the corresponding FAQ, HERE. 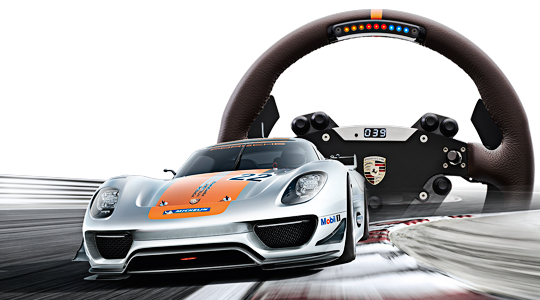 All Information below are valid for SLIMax Manager Fanatec Edition and SLIMax Manager Pro. 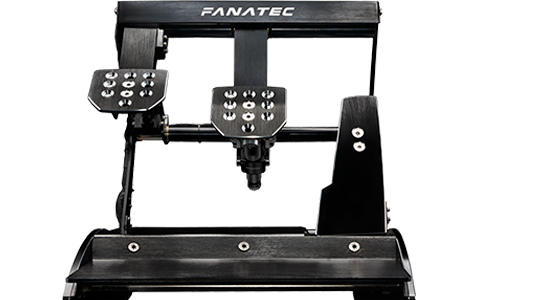 Basic steps to get started quickly with your Fanatec hardware. We recommend to start with SLIMax Manager Fanatec Edition and go to Pro version later. 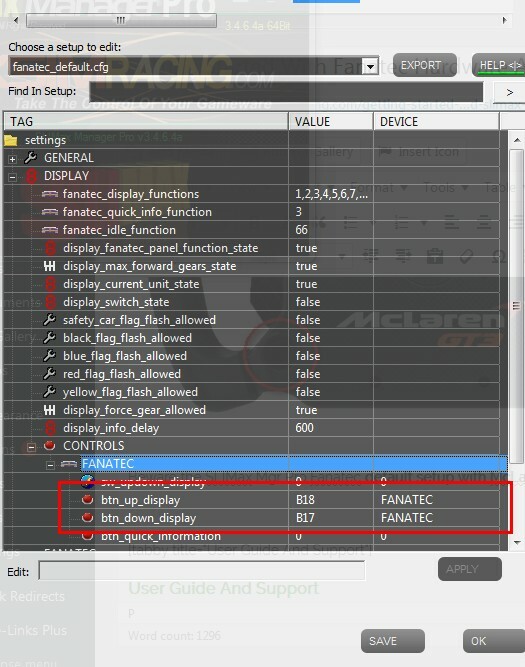 – configure the sim / games to send telemetry data and to disable the native Fanatec support of the display and LED. 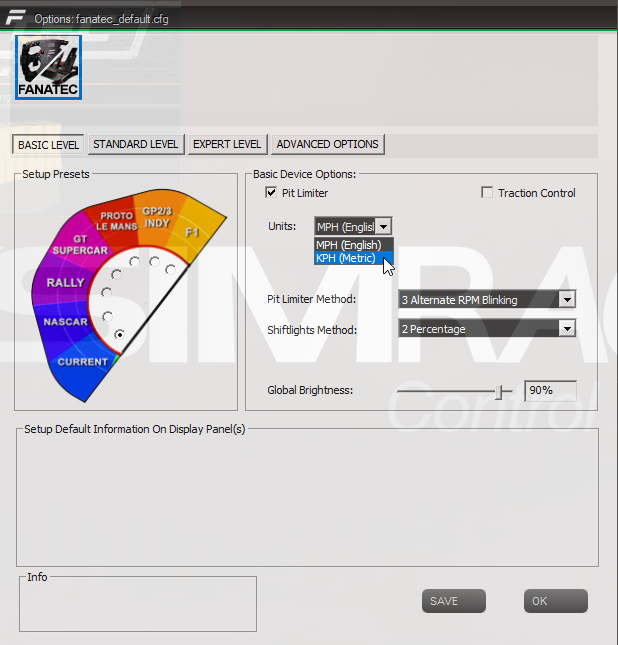 DISABLE the native Fanatec support of your display/LED in game settings is absolutely required to enjoy all features of your Fanatec hardware with SLIMax Manager. How do I know if I correctly disabled the Fanatec native support of LED/Display of my game? 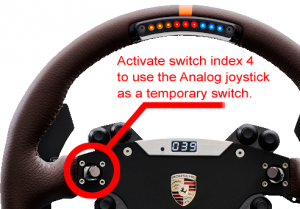 To test if you correctly DISABLED the native Fanatec led/display support of the game, simply quit SLIMax Manager and launch the game alone, go on track and nothing should be displayed and led must stay OFF. 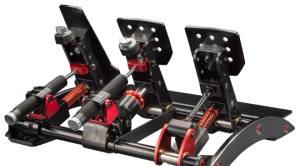 Use the default Fanatec setup, enjoy your sim rig with your favorite game or simulation and later start to customize your setup to suit your needs. After your first run, read the quick info and tips below and later click the TAB Advanced Setup Options to get more information. Select the Basic Setup Options menu and play with the basic settings for example to change the unit (MPH/KPH), change the Pit limiter, Shiftlights or Shiftpoints method. 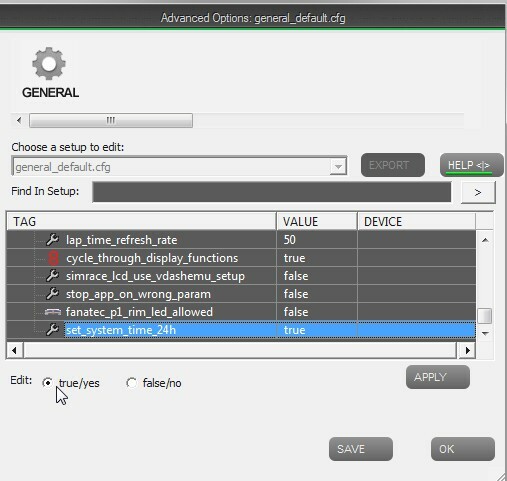 General options contains global settings and can be useful for example if you need to display the system time in the 12h or 24h (your PC system time is displayed when the game is paused). 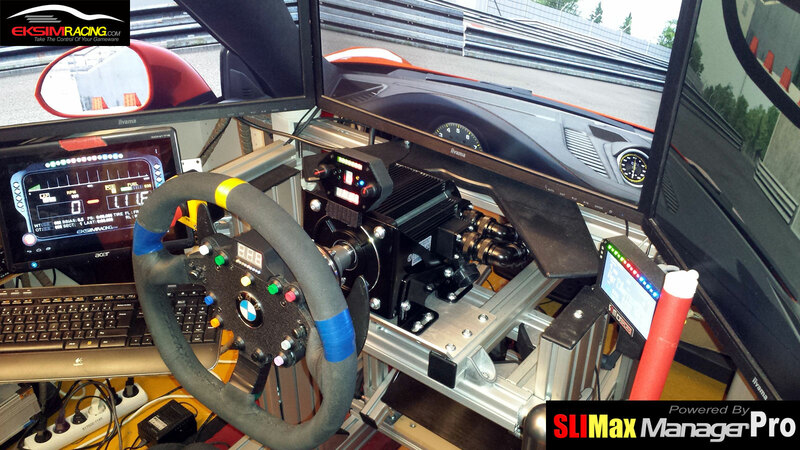 SLIMax Manager is provided with several car setups to get started quickly with your hardware. 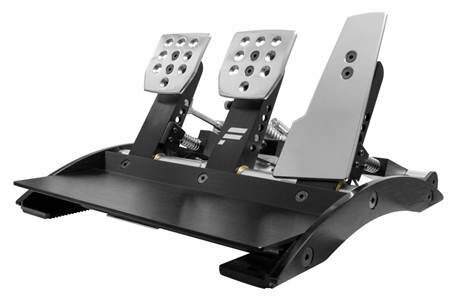 The Fanatec default setups named fanatec_default.cfg. 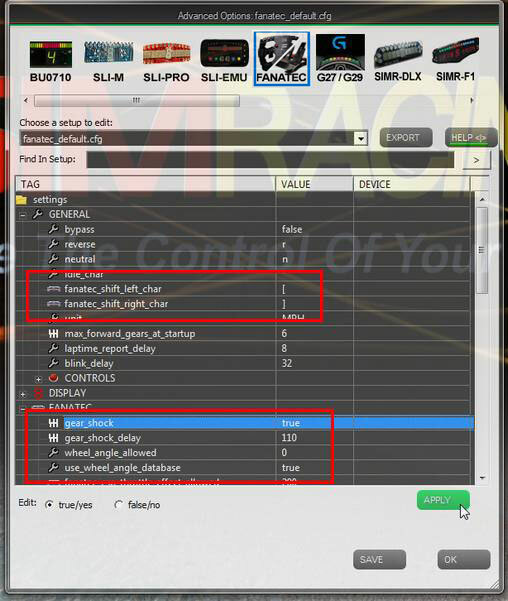 (see the screenshot below) are suitable for almost ALL simulations or games other than modern F1 cars (2015 season and beyond) so it’s preferable to select the corresponding F1 setups in this case. These setups ARE RECOMMENDED for beginners and to get started quickly. Later, you will be able to alter or create new setup to suit your needs (see the Advanced Setup Options tab). Check the video tutorials, doc and F.A.Q. to go further and learn how to customize your setup to suit your needs. 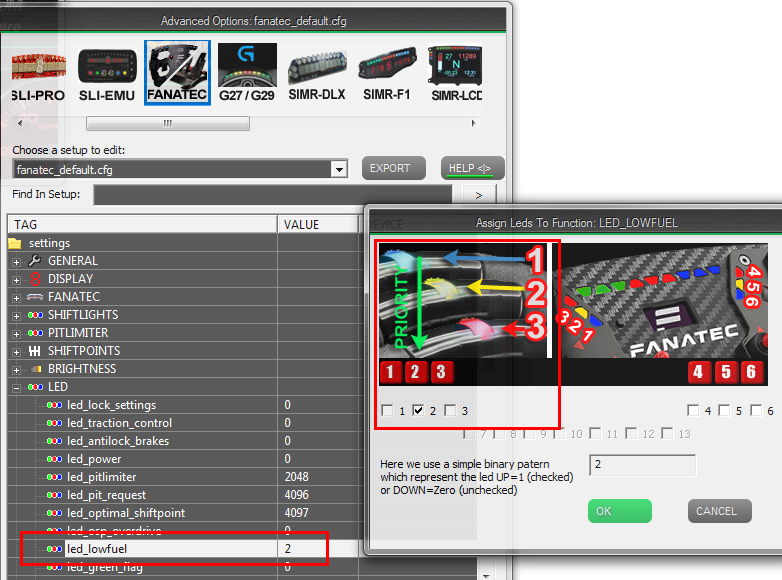 Among hundred of functions for customizing your setup, here are the functions specific to Fanatec hardware. 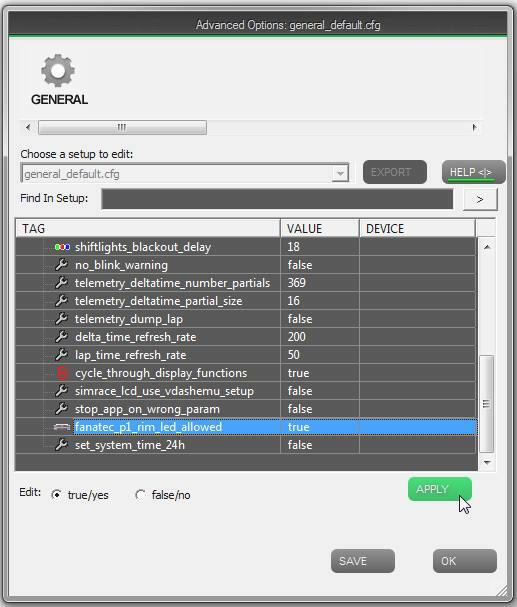 -> surround the gear value with the chosen chars on OSP (Optimal ShiftPoints ) to use with a special OSP method named FanaFoo from Basic or Advanced Setup Options. The 7 way rotary encoder on the right of almost all Fanatec rim can be configured to change the function of the 3 digits display (gear, speed, fuel, etc.). 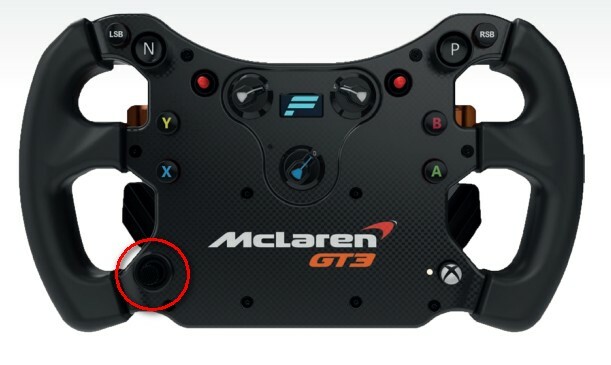 Beware the SLIMax Mgr Fanatec default setup with McLaren rim may be altered. The “FunkySwitch” encoder is mapped differently with buttons ID 17/18 and not ID 23/24 if you have a Fanatec McLaren Firmware prior to v30 (update your rim firmware is recommended). The Mini Fanatec OLED in current firmware doesn’t have a complete characters set unfortunately, some text and dot cannot be displayed. We recommend to display gear only. 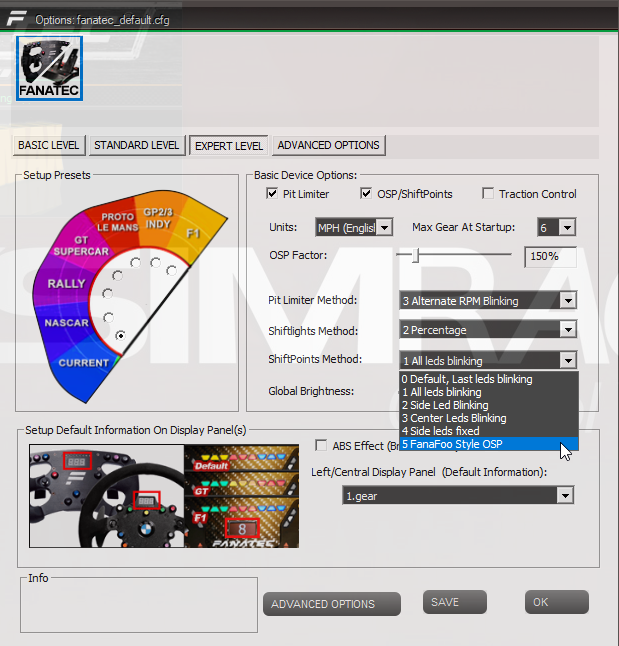 In advanced options (in PRO version only) you can activate the Wheel Angle Database to let SLIMax Manager changes your degree of rotation of your wheel (wheel angle) automatically. More info on Wheel Angle are available, HERE. 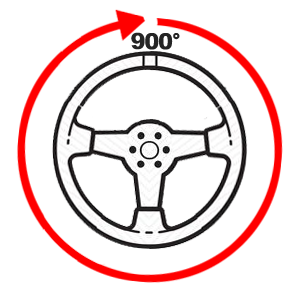 However, it’s recommended to use the native game management of the wheel angle when it’s available. To take the full benefit of the SLIMax Manager Pro management of your CSP Rumble Motors (Brake and Throttle) it’s recommended to connect it directly to the PC USB port but obviously this is working on wheel base as well. 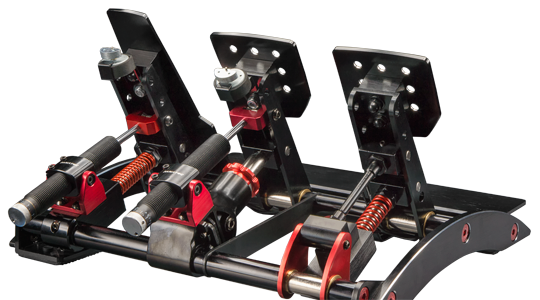 ABS and Throttle effect activation/deactivation are also available from Basic Setup Options wizard when the CSP Pedals set is connected directly onto the wheel base. 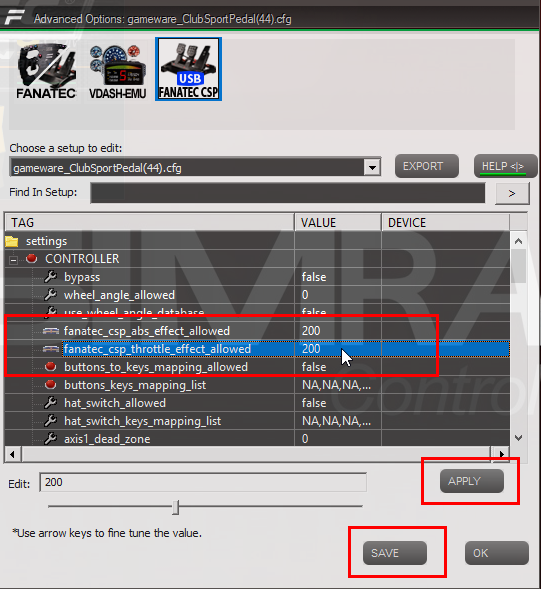 Read the FAQ for more info about ABS effect and limitation: Why the ABS Effect not working with my Fanatec CSP? 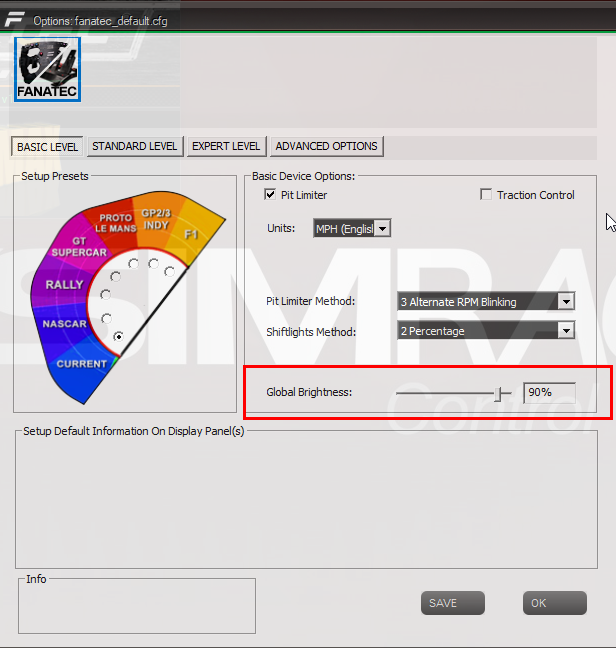 Select the Basic Setup Options and click the the EXPERT tab to change the primary information on your Fanatec central display. 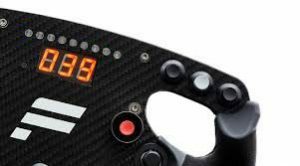 We recommend to display gear only on McLaren and Formula V2 OLED display (the OLED display have a very limited chars set). More info can be assigned to your central display in Advanced Setup Options. 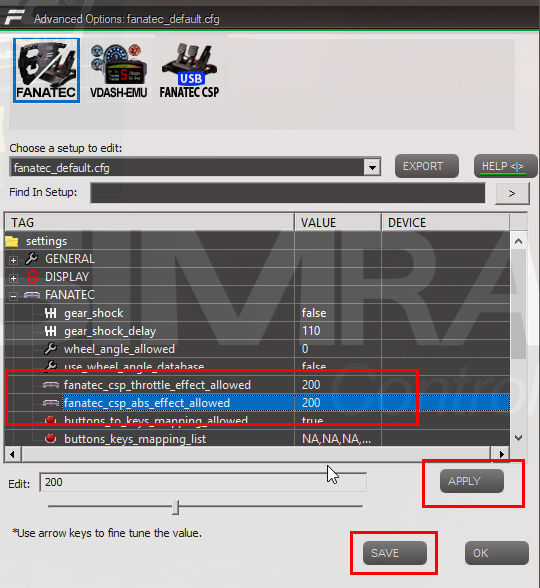 You CAN’T enjoy the led of your Fanatec Formula V2 steering wheel with SLIMax Manager or any other 3rd party tool WITHOUT DISABLING THE NATIVE FANATEC SUPPORT IN GAME SETTINGS (read the notes below and configure your games). 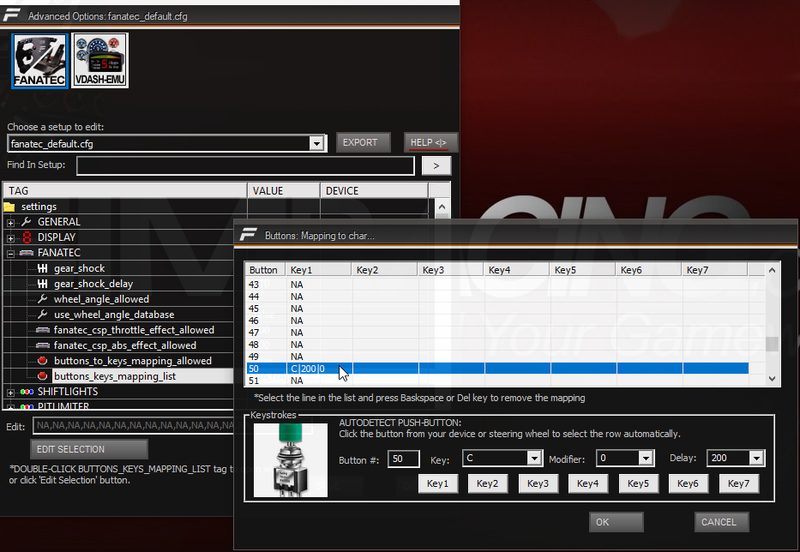 You can create easily keystrokes sequence (MACRO) mapped to button using the Advanced Setup Options to manage your game. – Big improvement of the Button Mapping Wizard to accept 64 buttons. 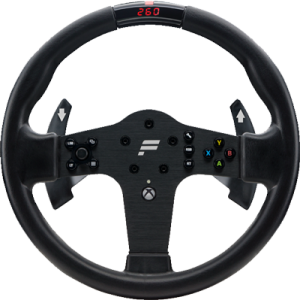 Fanatec McLaren and Formula V2 steering wheel buttons can be assigned easily to create a keystrokes sequence to drive your game. Also, you can now press any button on your steering wheel to select the corresponding sequence AUTOMATICALLY, no longer need to know the id of each button, simply open the wizard click the button on your steering wheel and enter the key(s). 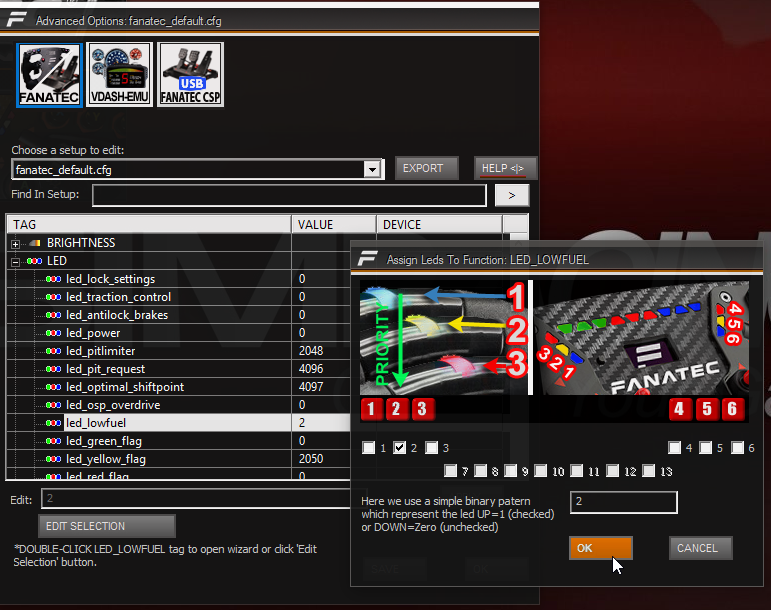 To test if you correctly DISABLED the native Fanatec led/display support of the game, simply quit SLIMax Manager Pro and launch the game alone, go on track and nothing should be displayed and led must stay OFF. 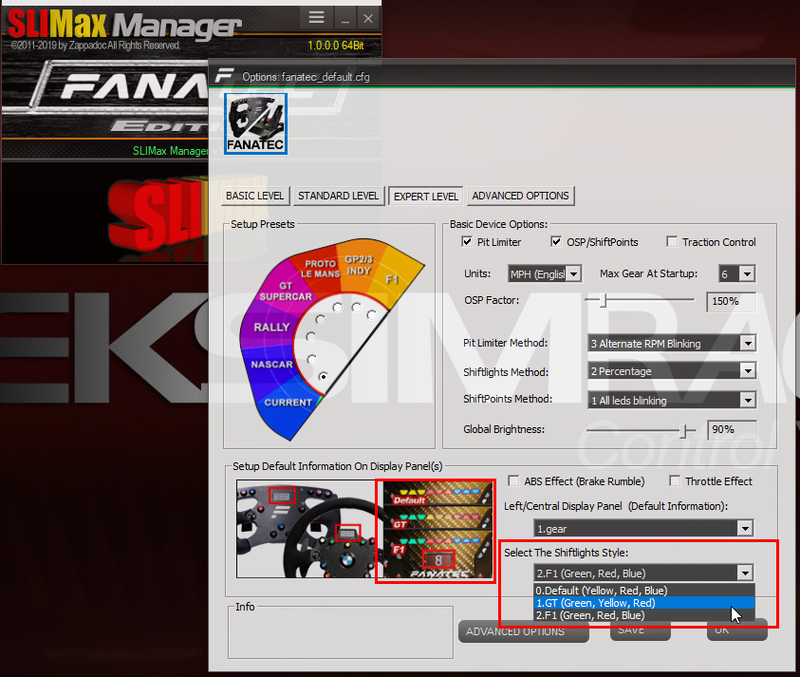 IMPORTANT: be sure to have the latest SLIMax Manager and the Fanatec v328+ driver installed on base v2/v2.5 and CSL before activating this feature. if the BIG RIM Led of P1 is allowed in General Options then this acts like 3 warning LEDs (blue, yellow and red), each color can be assigned to a function using the Advanced Setup Options. SLIMax Manager Pro works really well with Fanatec Teensy mod and it’s cool to be able to use your Fanatec rim “as is” with a QR adapter provided by the SimRacingBay for example on OSW Simucube platform. if you need assistance read the documentation, F.A.Q. and watching the video tutorials, If you have a hardware issue contact your hardware supplier or the Fanatec support directly, we don’t do any hardware support. Also, if you’re happy with our software and are willing to contribute to EKSIMRacing projects consider making a donation (Link To Donation Page). 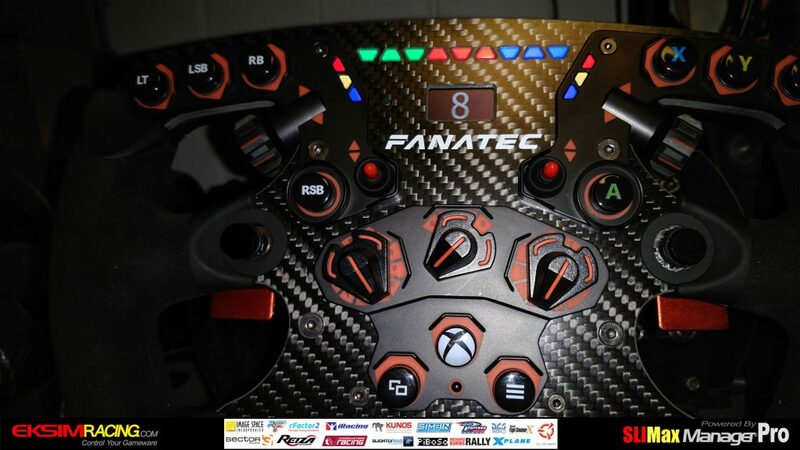 Fanatec hardware to increase your immersion and gaming experience. 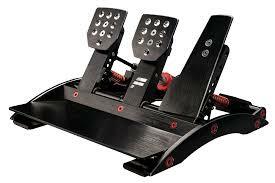 Fanatec Hardware are recommended by EKSIMRacing. All product names are trademarks or registered trademarks of their respective holders. Use of them does not imply any affiliation with or endorsement by them.